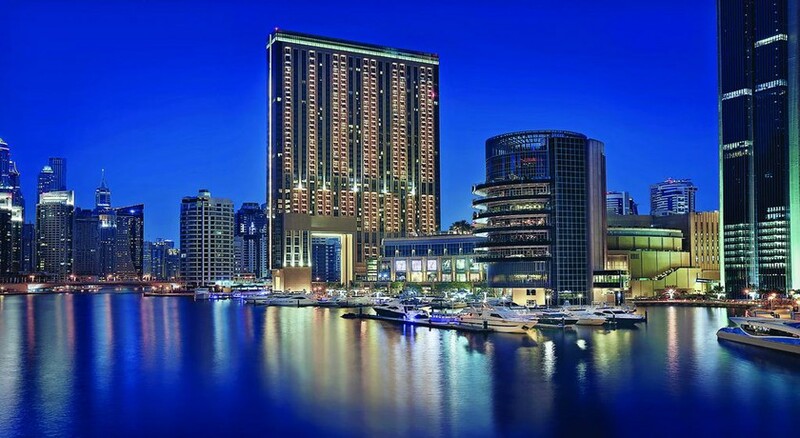 The Address Dubai Marina is a super luxurious waterfront hotel, strategically set in the heart of Dubai overlooking the world’s largest man-made marina. As you step out of the hotel, you’re greeted by the dazzling Dubai Marina Mall, premier boutiques, vibrant lounges and Dubai’s beautiful sunny beaches. At a short driving distance from Dubai’s business hubs including the Media and Internet cities, Knowledge Village and Jebel Free Zone, the hotel is a multiple award-winning property, whose plush guest rooms welcome visitors to a perfect blend of luxury and comfort. The rooms are well equipped with state-of-the-art technology and amenities. 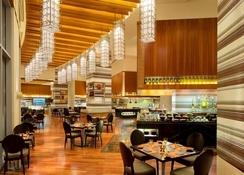 The main restaurant at The Address Dubai Marina serves a wide range of international cuisines ranging from Asian, Arabic and European. The bars pamper you with champagnes, wines and exciting cocktails. Marina’s spa offers a wide variety of face and body treatments using organic essential oils. The modern fitness centre offers a sauna, qualified personal trainers, and steam rooms. The Address Dubai Marina is a 5-minute drive from Dubai Media and Internet Cities, and Jebel Ali Free Zone. It is linked to the Dubai Marina Mall, which houses 160 stores, from boutiques to designer brands. If you’re looking for sand and sea, the Arabian Gulf beaches are just a 5-minute stroll away. The hotel is easily accessible from Dubai International Airport and in proximity to the Dubai Metro station and the Dubai Tram. The 200 air-conditioned rooms and suites at The Address Dubai Marina are decorated with natural, warm colours and wooden furniture. A style statement in itself, the guest rooms are adorned with the finest linens and elegantly designed furnishing. All rooms offer amazing views of the Dubai Marina and are equipped with world-class and modern amenities. Categories into Deluxe Room, Grand Room, Premier Suite, Tower Suite and Presidential Suite, the rooms feature free Wi-Fi, coffee and tea facilities, and a minibar. Room service is available 24/7. Each of the accommodations is equipped with iPod docking stations and flat-screen TVs. There are also 442 stylish serviced residences, where guests can choose from studios, 1- 2- and 3-bedroom serviced residences and 3 and 4 bedroom penthouses. With 4 restaurants and lounges, The Address Dubai Marina offers its guests international haute cuisine and a range of alcoholic and non-alcoholic drinks. You can enjoy a diverse mix of Asian, Arabic and European dishes at restaurant Mazina that serves breakfast, lunch and brunch. The poolside Shades offer alfresco dining with cuisines ranging from Mediterranean to Far Eastern, coupled with drinks. Kambaa lounge offers a selection of appetisers, savouries, sandwiches, teas and coffees, while Nezesaussi Grill is a lively sports hub serving signature dishes from New Zealand, South Africa and Australia. The Address Dubai Marina is equipped with a large swimming pool. 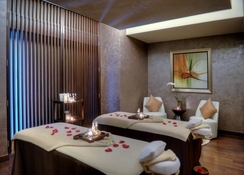 Guests can also rejuvenate and treat themselves at the state-of-art spa and wellness centre. 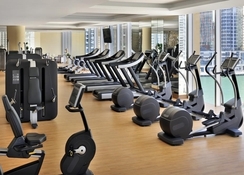 The modern fitness centre offers a sauna and well experienced personal trainers and steam rooms. For young guests, there is a paddling pool and a kids’ club at the hotel.